As so often occurs with open source projects, the Quake3 port to Android was motivated by a developer acquiring new hardware. In this case it was user alias thunderbird2k who got a Motorola Milestone as a gift. 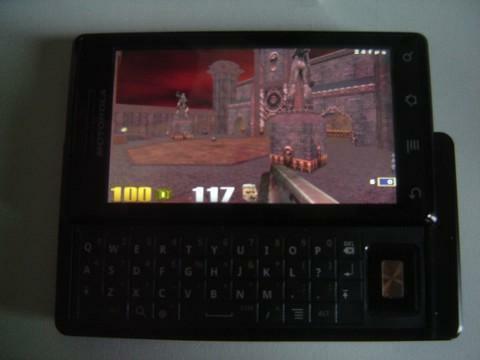 He took one look at the Quake3 port for the N900 and quickly set himself upon reworking it for his Android mobile phone. The result is a ready-made Android app, Kwaak3, available for download from the project page. Prerequisites for the shooter classic are Android as of version 1.6 and a minimum 256 MBytes RAM. The game is optimized for devices with a keyboard, with future work to be done on those without. Controlling Kwaak3 on Android requires a keyboard, for now.